Those who are living mid-century modern the smart way have taken time to adapt their 60-year-old home to the current century. One of the best ways to do that, as we edge into 2019, is to add photovoltaic (PV) panels, better known as going solar. However, adapting 20th-century homes to 21st-century energy solutions is not without its challenges. 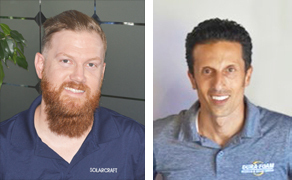 To find out exactly what those challenges are and how to solve them, we return to the 'House of Questions,' where we find two Eichler experts who know exactly how to let the sun work for you and your MCM lifestyle: Jarom Feriante, CEO of Menlo Park-based Dura-Foam Roofing & Solar Center; and Blake Abbate, Director of PV Operations for Novato-based SolarCraft. If you want to make an Eichler more energy efficient, is solar a good way to go? Abbate: Absolutely! Solar is always a good option for home energy efficiency as long as there is roof space (Eichlers tend to have plenty) or space for a ground mount. Known for large windows, open floor plans and minimal roof insulation, Eichlers are usually not very energy efficient. Solar is a great option to lower your energy bills. 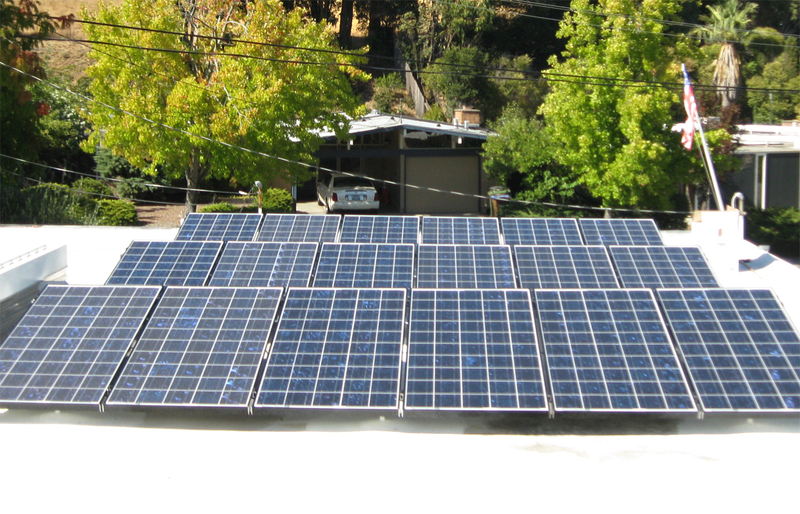 The addition of a 30-percent federal tax credit now makes solar more affordable than ever. Feriante: Solar is a great way to generate clean energy, but improving your home's efficiency should first be accomplished by reducing your energy consumption. Typical efficiency upgrades include insulation, LED [light-emitting diode] lighting, and mechanical equipment upgrades. For example, our super-insulated foam roofs significantly reduce heating and air conditioning loads. Also, some Eichler owners transition from natural gas to electrical appliances to reduce dependence on fossil fuels. Once the efficiency modifications are understood, your next step is to size a PV solar system to offset your optimized electricity consumption. What are the greatest challenges in adding solar to a flat-roofed Eichler? Feriante: Reliable waterproofing and architectural aesthetics are two key challenges on flat-roofed Eichlers. I've seen too many cases where solar contractors install gargantuan arrays soaring into plain view above the roofline. Such tactics can be tempting when prioritizing system cost and solar output efficiency over aesthetics. Conversely, our solar installations are designed at a low profile and away from street view, balancing objectives of energy efficiency and architectural aesthetics. With regard to waterproofing, Eichler solar installations require dozens of penetrations in flat roof areas where water doesn't drain readily. A well-integrated, long-term roof system is a must. 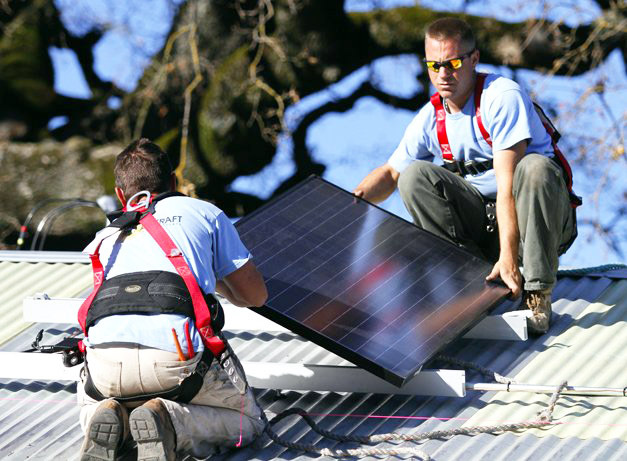 Paying to repair a single solar-related roof leak could negate years of solar energy savings.